Lightning will help you work smarter, not harder. 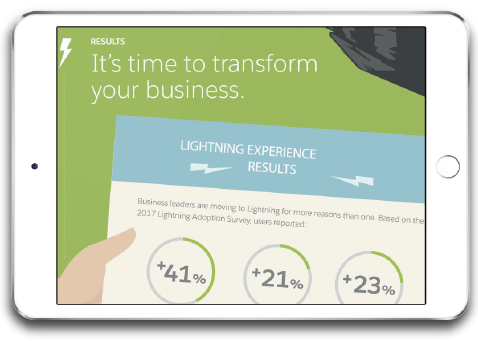 We surveyed 500+ Salesforce customers and they made it clear; the average productivity increase from switching to Lightning is 41%. Find out how you can take your business to the next level.